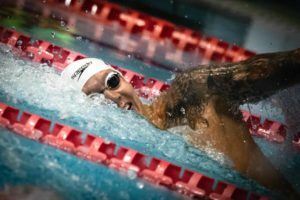 16-year-old Wang Jianjiahe wrapped up her tremendous year with an individual gold and individual silver at the 2018 Short Course World Championships in Hangzhou, despite a little mix-up in her 800 free heats. 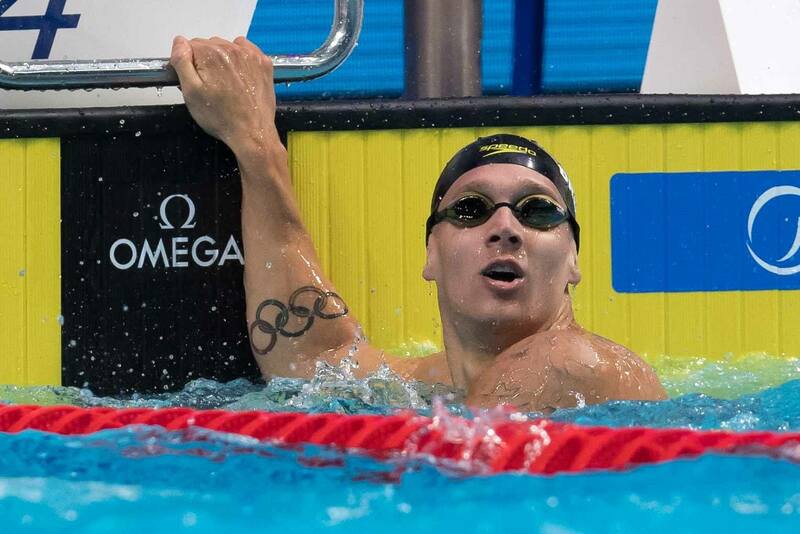 La victoire de Caeleb DRESSEL sur Vladimir MOROZOV dans le 100 mètres était inattendue. 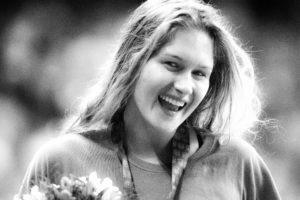 While Smoliga earned the most gold medals of any competitor, Team USA’s Kelsi Dahlia leaves Hangzhou with 9 medals total, 7 of which are gold. Cesar Cielo hasn’t made up his mind on whether or not he’ll retire after competing in Hangzhou. Two years ago in Windsor, the Russian men swept all five relays at the Short Course World Championships. The U.S. managed to medal in four of them, only missing the 400 medley where they would’ve won silver had they not been disqualified, but this time around they’re bringing a much deeper squad that should challenge for the title in all five. 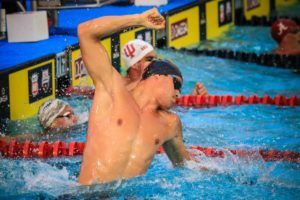 They bring a loaded lineup full of recently graduated NCAA swimmers who are some of the fastest in the history of short course yards, and a successful transition over to metres will lead to some very fast times. 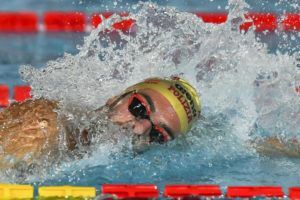 The Russians will once again be dangerous, with seemingly all of their top swimmers slated to compete in Hangzhou, and there will also be some strong relays coming from the Brazilians, Italians, Australians, and the host team from China. * The fastest time ever recorded was a 1:20.77 by France in 2008, but that swim hasn’t been officially recognized as a world record by FINA. 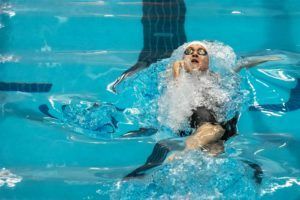 The 4×50 free relay shapes up to be incredibly tight between the U.S. and Russia, with additional threats being Brazil, Australia, South Africa and Italy, and it could very well come down to who executes their exchanges perfectly. The Americans are led by Caeleb Dressel, who’s coming off a subpar summer (by his standards) but is still the fastest swimmer ever in the SCY 50 by over eight-tenths of a second. His 17.63 converts to an insane 19.56 in metres, but say we slot him in for a 20-point on the lead-off, then they’ve got Michael Andrew, who was 20.9 on the World Cup circuit, and then some combination of Michael Chadwick, Ryan Held and Blake Pieroni. 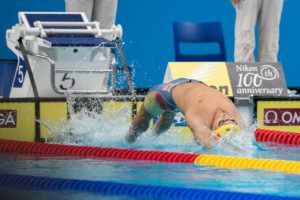 Chadwick unleashed a couple 20-second relay legs in Windsor, including a 20.44 anchor on the mixed 200 medley, Held is the 4th-fastest swimmer ever in yards at 18.56, and Pieroni should be reliable to split sub-21 as well (21.34 flat start at World Cup). With Dressel and Andrew being the two entrants in the individual 50, along with the fact they both have the 50 fly prelims during the same session as these relay prelims, they’ll likely get a bye to the final and will be joined by the fastest two from the morning team. Chadwick, Held and Pieroni should be on there, and then one of Kyle Decoursey, Michael Jensen, or maybe even Ryan Murphy. Like the Americans, the Russians also boast an incredibly deep squad here. They have an insane ten different men on their roster who have been under 22 seconds in 2018, led by Vladimir Morozov who leads the world rankings in 20.48. Then they’ve got Evgeny Sedov (21.02), Ivan Kuzmenko (21.18) and Kliment Kolesnikov (21.48) as their next three fastest, giving them a hypothetical add-up of 1:24.16 based on 2018 swims. Using swims this year from Andrew, Chadwick and Pieroni (the only three Americans to swim it), the U.S. would need a fourth leg of 20.30 to match Russia’s add-up. The 2018 aggregate add-ups have Brazil and Australia both in the 1:25-range, and then Italy at 1:26, and the South Africans are also in the mix. Brazil is spearheaded by Cesar Cielo, who is competing in what is expected to be his last competition ever, as he’s been 20.98 this year. The Aussies have four guys between 21.0 and 21.5, led by Cameron McEvoy (21.00), and the Italians have six men in the 21s including Lorenzo Zazzeri (21.33) and Andrea Vergani who was 21.37 long course in August. They also have Santo Condorelli competing who will be very useful on the sprint relays. South Africa has a strong team, with three men having been 21 this year in Brad Tandy, Douglas Erasmus and Ryan Coetzee, and Chad Le Clos hasn’t swum the race in 2018 but has split sub-21 before and owns a flat start PB of 21.05. 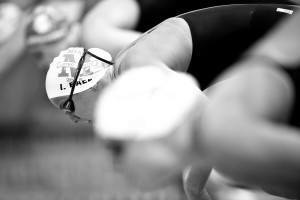 The 4×100 free will be a very similar story to the 4×50. 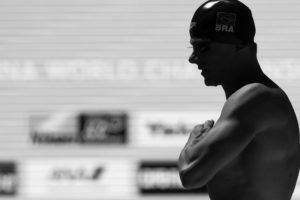 The U.S. has Dressel, Pieroni, who tied the official American Record at the Budapest World Cup in 46.25, Chadwick (46.9 this year), and Held. Decoursey and Jensen will swim this in the morning as it’s their only official event on the U.S. roster, and Jack Conger is another option they have. Murphy has the individual 100 back prelims and semis on this day (the first day), so chances are he won’t be on it. Looking at the U.S. lineup it’s hard to bet against them, but what the Russians have done this year is remarkable. Six men on their roster have been sub-47, another two at 47.1 and 47.2, and their add-up from their fastest four times (3:04.65) is only 1.3 seconds off the 2009 world record. Morozov came within .01 of the world record in November in 44.95, and their next fastest guys are Vladislav Grinev (46.39), Kolesnikov (46.43) and Sergey Fesikov (46.88). If they opt to use Kolesnikov in the final, after he would’ve already swum the 100 back semis and 200 IM final in that same session, that could be the opening the Americans need. No one comes close to what Russia has shown this year. Brazil has a pair of 46-highs from Cielo and Marcelo Chierighini, and a few other teams have one. Australia has McEvoy (46.32), Italy has Zazzeri (46.98), South Africa has Le Clos (46.45) and Japan has Katsumi Nakamura (46.56). In terms of depth out of these teams, the edge goes to Brazil, with the Italians and Aussies following them. Japan has three strong legs but are missing a fourth. Russia is once again full of depth in the 4×200 free, with four men having been 1:42 this year. Aleksandr Krasnykh (1:42.26), Mikhail Vekovishchev (1:42.52), Martin Malyutin (1:42.65) and Mikhail Dovgalyuk (1:42.83) give them an add-up of 6:50.26, just over a second off their 2010 world record and much faster than they were two years ago to win. This is the most questionable relay for the Americans. Pieroni is their ace, as he leads the world rankings in 1:41.15, and then Conger is probably the only other shoe-in for finals. Dressel is certainly an option, but it would likely be his fourth event of the session. Held has actually been faster than Conger in yards (1:31.3 to 1:31.5), but given the 200 isn’t one of his long course focuses, it’s tough to know if he’s continued training for anything over 100 now that he’s graduated from college. Zane Grothe and Jacob Pebley both swam on the relay two years ago and are reliable options. The Brazilians have three really strong legs in Luiz Melo, Fernando Scheffer and Breno Correia, but need someone to step up in the fourth slot. Italy and Australia are solid with three 1:44s each, but no one faster than that, and then the darkhorse team may be China who have a 1:42, two 1:43s, and then Sun Yang. The 4×50 medley presents the best chance for Brazil to claim gold. They’ve got a ridiculous lineup of Guilherme Guido (22.68), Felipe Lima (25.88), Nicholas Santos (21.75) and Cielo (20.98), giving them a 2018 aggregate of 1:31.29. All but Lima were apart of their 2014 World Championship winning team. The only team that can compete with them numbers wise is Russia, who add-up to 1:31.9 in two different combinations. They have Kolesnikov (22.82) and Oleg Kostin (25.90) on back and breast (with Kirill Prigoda potentially taking the breast spot as well), and then could either go Morozov on fly and Sedov on free, or Vekovishchev on fly and Morozov on free. Based on 2018 times the teams are just .01 apart. The U.S. is obviously a huge threat as well, with Murphy or Matt Grevers on back, Andrew or Andrew Wilson on breast, and then most likely Dressel on fly and whomever is swimming fastest on free (Held, Chadwick, Pieroni). 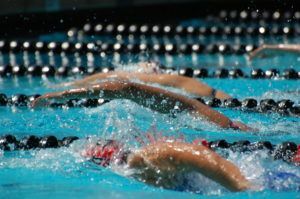 The race falls on the penultimate night of the competition, so how the swimmers are performing at the meet will determine who earns the spots for prelims/finals, but with their lineup they should be able to compete with anyone. China, Italy, Japan and Australia are in the next tier with aggregate add-ups in the 1:33-1:34 range. With Xu Jiayu on the lead-off, China is very strong and just lacking a freestyler or they would be right in the medal picture. The South Africans are also very strong on three legs but are missing a backstroker. The playing field appears to be the most level among a number of countries in the 4×100 medley relay. Whatever American combination steps up behind the blocks, let’s say it’s Murphy, Wilson, Dressel and Pieroni, they’ve got to be at least the co-favorites. 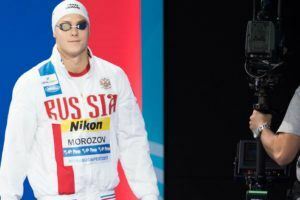 If we say the matchup on the back leg is a wash between Murphy/Grevers and Kolesnikov, and the U.S. has an advantage on fly with Dressel and Russia has one on free with Morozov, the breaststroke could very well be the difference maker. Kostin and Prigoda have both been 56 this season, and Prigoda split 55.7 in Windsor, so whoever is the American breaststroker will need to be in the 56s. Among the other countries, China is very strong with the world record holder on backstroke in Xu Jiayu, and then Yan Zibei and Li Zhuhao have both been very fast this year on breast and fly. Free is once again their weak point, but with a pair of guys 47.5 this season they should be able to get someone into the 46s. Brazil and Japan are next up in terms of add-ups from season-best times, with Italy potentially in there as well provided Simone Sabbioni is on top form on the back leg. The Aussies lack an elite guy on breast and fly which looks to have them out of the medal picture. Really doubtful that his first meet back since an sub-par summer (except for a local SCY meet last week) is going to be on par with his LC WCs or NCAAs. U never know in swimming what can happen with Dressel or anybody else for the matter . Let’s stay positive and enjoy the show . Russia is looking really good. Steroid use would do that!!! b) Held to get back to international form…he was sadly off at nationals and missed all the major international meets for 2019.